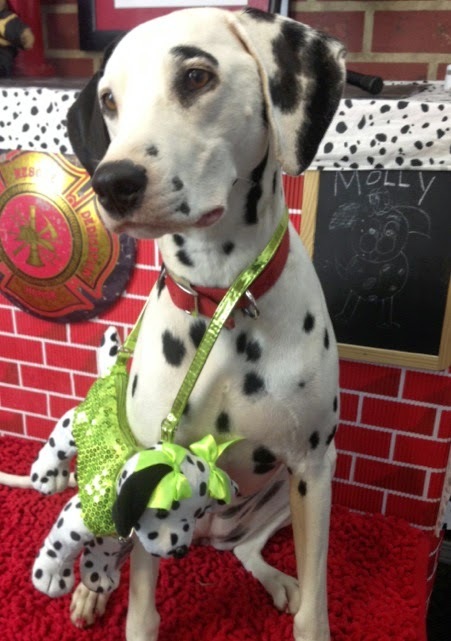 Fire Safety Rocks: Win a "Dotty" Poochie made by Poochie & Co.! To celebrate Molly the Fire Safety Dog's 2nd birthday, we are giving away a "Dotty" Poochie made by our friends at Poochie & Co.! This "Dotty" Poochie is very special as this was given to Molly after attending Animalfair.com's Paws for Style event in NYC. One very lucky person is going to win this "Dotty" Poochie! Poochie & Co. is a division of Cudlie Accessories LLC, a family owned business that was established more than 45 years ago as a ladies, children’s and infants accessories company. According to their website, the company has a history of steady growth built on core principles of quality, innovation and uniqueness. They are a consumer service oriented manufacturer with a commitment to providing the best design driven products to their customers. Poochie & Co. is the newest division of Cudlie Accessories. They are focused on keeping a fresh face by continually adding new styles, colors and materials to the sweet and adorable Poochie collection. Each animal is styled to match the personality of the represented breed. They have a look to coordinate with everychild’s outfit from jeans to party dresses. Poochie & Co. handbags are the hottest trend for our young admirers and are a must-have accessory for collectors. Labels: Dotty Poochie, Molly the Fire Safety Dog, Poochie & Co. 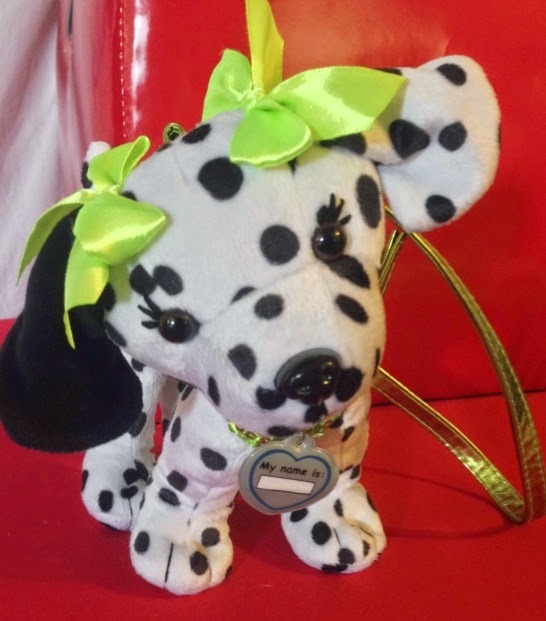 I would love to win "Dottie"
I would love to win "Dotty" Poochie because I love Dalmatians and the Poochie is so cute! To stay as safe as I can in case of a fire I check my smoke/fire alarms to make sure they are working properly and I change the batteries in them frequently. I would love to win this for my daughter, she loves dogs! Awe! My daughter would love to win this Poochie. It would be a great fire safety reminder! We would love to win Dottie. My daughter loves dogs and Dottie is for a great cause. We check our smoke detectors and fire extinguishers regularly. We have made escape route plans just in case and reminders every year. My daughter would love add Dotty to her collection! and we stay on top of our smoke detector checks! I would absolutely love to win this for my Granddaughter. She would love it. I would love to win this for my daughter because my husband is a firefighter. He is gone every third day so this would be a wonderful companion for my daughter when he is gone to remind her why he does what he does to keep others safe. We love to support anything fire safety!! My daughter Abby would LOVE Dottie! We have to keep our house extra safe because Abby has Down syndrome and does not understand personal safety. We have a tracker through our cell phone carrier that helps us track her within 10 ft of her location. Abby likes to run away so this has unfortunately come in handy. We also make sure she is not in the kitchen alone so she does not play with the stove or get into things she should not. We have to make sure the doors are locked certain ways so that we can get out if need be but she can not. So you see, safety is extra important to us. My 4 mo. old niece would just love <3 Dottie. I would love to win Dottie for my neice! I want to win for my classroom, this would be a great way to get the kids interested in fire safety. Last year we even took a trip to the local firehouse. The kids loved it.